As 2008 is nearing its end, it is a good opportunity to take time out to reflect on the year just past, remembering and considering all the things it held for us. The questions that follow are offered as a way to facilitate that reflection — and perhaps to stimulate your own thinking about questions you want to ask yourself. An article similar to this was first published in our Karuna Newsletter several years ago, and it seemed a good time to revise and repeat it as we come to the end of such an eventful year. In the previous version all the questions had a personal, psychological flavor. That is mostly true again this year, but I’ve also added a few questions related to how external world happenings may have impacted you personally. The world seems to get smaller every year. We are more aware than ever of how events and decisions on the other side of this island home can impact the air we breathe, the food we eat, the cost of gas, and our sense of security. Some of the following questions are designed to help you recall good memories, interesting events and people. Some are just for fun. Some might put things into a different perspective for you. Some questions might trigger insights or help you learn some interesting things about yourself. And some are designed to be thought-provoking and even challenging. In the last regard, I feel compelled to add a small caution: if you find yourself feeling unduly distressed or overwhelmed by your answers to any of these questions, it might be best to put the questions aside and talk about your thoughts and feelings with a friend or family member who can give you support. If you feel you need to talk with a professional, you are welcome to contact one of the therapists here at Karuna (404) 321-4307, or you may prefer to talk with a clergy person. If you don’t have other resources, you could also contact your local county mental health center. Mostly I hope you enjoy this process, and find it useful. I’ve been doing it for several years and I enjoy going back and seeing what was going on in my life and in myself in previous years. You may not get through all these questions in one sitting. Take you time. Notice the questions you want to skip or the ones that stop you. Hold it all in compassion – no judgments. It’s good to take time out to reflect on your life, no matter what the answers. What was my greatest accomplishment(s) this year? What was my biggest blunder of the year? What gave me the greatest joy this year? What was the biggest disappointment? What was the best surprise? What are the moments I wouldn’t want to have missed? What, if anything, do I wish I had done differently? Who was the most interesting new person in my life? What was the most difficult thing I had to do this year? What was the worst experience of the year? What was the most unusual experience? What book or movie had a big impact on me? Why? What was my coolest new purchase of the year? What was the biggest waste of money? What newsworthy event(s) had the biggest impact on me personally (e.g., the presidential race, global warming, Iraqi war, Olympics, gasoline crunch, plight of refugees, green issues, etc. ), and why? Do I experience the world differently than I did a year or two ago? In what ways? What do those differences mean for me personally? Have they or will they change how I live and the choices I make? Who were the people who were most important to me this year? What was the area of greatest personal growth for me? What area(s) need the most growth/development in the future? What kindness was extended to me that meant a lot to me? What was a kindness I extended to someone else that meant a lot to me? Consider trying this exercise as an alternative to making New Year’s Resolutions. Ask yourself the above question and use your answers to create a collage of some sort. It can include pictures, drawings, photographs, words – anything that represents what you want to invite into your life during the upcoming year. What you create can then be displayed where you will see it occasionally to remind yourself what it is you really want. I once heard that given as a definition of self-discipline. I’ll make it big so you can use it in your collage if you like. P.S. I was supposed to have a book to go with this article, and there probably are some good ones, but the truth is some friends and I came up with this idea at a party one night and it has gone through several revisions and variations since then. Imagine for a moment this Earth without animals. Forests, oceans and rivers, sky, plains and caves, empty of all the creatures that inhabit them. No songs of birds, nor chirping crickets, nor barks of dogs, nor trumpeting elephants. No laughter at their antics, nor respecting their power, nor interest in their unique view and interaction with the world. No Animal Planet programming. No zoos, safaris, or museum sections educating us about them. How does it feel to imagine a world like that? Even if you’re not an animal lover, you’d probably not prefer a planet without them. In addition to providing a unique addition to the experience of life, animals have much to teach us about the human experience. Looking to nature is often a great place to start when trying to achieve some kind of personal healing or growth. Noticing particular animal attributes can be a fun and deeply moving way to add to your wisdom and experience. Frog reminds us that life is a process of changing and evolving. Of swimming through the watery currents of life and making our way to shore. Of starting out as gray swimming tadpoles and forming into colorful leaping frogs. Frog’s rapport with rain and water reminds many of cleansing and healing as well. providing the possibility of change that can cleanse and heal. Strong Connections: Did you connect strongly to certain stuffed animals as a child? Did you dream of one day working with animals? Are you drawn to art depicting certain animals? Books and films? Feedback from Others: Has anyone ever told you that you have remind them of a particular animal? That bear-like hug, that eagle-eye, that owl wisdom? Sightings/Experiences: Have you come across animals in your daily routine—that hawk you noticed sitting atop a light pole across the street while you ate lunch? 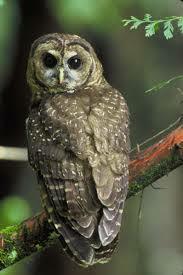 That owl that you know inhabits a tree a in your yard and hoots at night? The deer that crossed your path? Have you ever been attacked by or bitten by an animal? Stories: Is there a story in your family of origin and/or family of choice about a special pet or a sighting/experience of a wild animal that is told over and over again? Fears/Joys: What animals most frighten you? Which bring you to the most joy? Paying attention to strong reactions on both the “dark” and “light” sides can give you clues to look further. Dreams: Do you dream about a certain animal more often than others? Do the dreams you have with a certain animal seem particularly powerful, meaningful of vivid to you? Cards: There are decks of cards that can be used to help you. The Native American “Medicine Cards” book and deck by Sams & Carson is especially well done. The Native American tradition has deep respect and reverence for what they call “animal medicine.” What they mean by medicine is “anything that improves one’s connection to the Great Mystery and to all of life, …includ[ing] the healing of mind, body, and of spirit, [and]…also anything that brings personal power, strength, and understanding.” Since psychotherapy is a healing process with the intent to also empower, integrating animal medicine can be insightful, inspiring, and transformative. I was driving to the mountains using the same route I’ve driven for years. On this long valley road on the way up the mountains, I spotted a turtle crossing the road. I stopped the car to move her to the side. This was the first time I’ve encountered a turtle on these roads and so the experience stood out to me. Over the weekend, I wondered how the turtle was and if she had safely arrived at her destination. On the way home down that same road, there she was again! She was off to the side this time, so I didn’t have to stop. I did stop, though, later that night to flip through my animal books to look up the symbolism of turtle—Mother Earth. I was deeply moved by the insight and guidance it provided for me at that time in my life around issues surrounding maternal experience. It led to further personal healing and exploration and was a delightful addition to my process around this issue. Gratefully, we do live in a vibrant, alive world with a wide variety of amazing and interesting animals. If you choose to allow their presence to interact with and support you on your life journey, you may find that your life becomes more amazing and interesting as well! And, in turn, your gratitude and appreciation for animals helps support them on their journey here also. When making a career choice, you must have knowledge of both yourself and the world of work. When you allow for exploration of both of these areas, you will be more likely to make an informed choice, select a career that is a good fit for you, and have greater work and life satisfaction. In learning about yourself and the world of work, consider each of the following areas. The ideal career will be a match for these important aspects of your life and identity. You would be fortunate to find a career that is compatible with who you are as a person and allows you to express yourself through the work you do everyday. When considering your career interests, think back on all of the things you have experienced in your life. Which work experiences have been the most rewarding to you (include part-time jobs and volunteer work)? What hobbies do you enjoy the most? Which classes did you like or dislike in school? What do you like to do with your free time? What activities make you feel the best or bring out the most in you? What do you do where you don’t even notice that time is passing? Allow yourself to think freely when considering your interests. There are over 26,000 jobs in the world and there are probably several that could combine your favorite activities and/or hobbies. According to a psychologist named John Holland, career interests can be classified into six basic types. You can learn about this classification system in a more formal way through a career inventory, but this will provide you with an overview of the basics. Try to determine your type by choosing three of the six categories and place them in order of importance to you. Once you determine this, you can do more research on careers for your type at http://www.careersmarts.com/holland.htm. Skills are learned while abilities are natural to us (learning to play golf well would be a skill, while being good with numbers is typically an ability). Generally speaking, we enjoy the things we are good at and are good at the things we enjoy. So, reflecting on your favorite activities will provide important information about your skills and abilities. Again, think back on classes, activities, hobbies, and jobs from the past. Is there any overlap between the ones you liked and how natural those abilities came to you? You can certainly choose a career that does not utilize your natural abilities, but you may find that it is more of a challenge to do that type of work. A third area to consider when making a career choice is your value system. Values include: prestige, status, autonomy or independence, flexibility, variety, security, high salary, creativity, challenge, advancement, physical activity, or contribution to society. It is important to be honest with yourself about your values and recognize that no value is “right” or “wrong”. We all have a different combination of values that make us unique. How we express these values is also very individualized. One person may give back to society by working with the homeless while another may contribute through volunteer work or making a regular donation to a charitable organization. Take this list of 12 values and prioritize it. You will probably find that you want almost all of these things in your life. To get more information about your priorities, pick your top 3 values. These will be the ones that you feel you cannot compromise. These qualities exist on a continuum, meaning that you will fall somewhere in the middle of each set of traits. Very few people are complete extroverts or introverts. Most of us prefer one to the other but can do both when necessary. When you step outside of your natural preference, it may be more challenging and you may feel tired or strained. Finding a work environment that matches your personality type will lead to greater work satisfaction. Consider the following: Would you rather work alone or with a team? Do you prefer clear answers or to find new solutions? Do you want structure and predictability in your workday or do you enjoy the unexpected? For a free Myers Briggs personality inventory, visit www.humanmetrics.com/cgi-win/JTypes2.asp. Once you have this information, you can do research online about how this relates career. Begin by visiting www.personalitypage.com and searching the personality and career link for your Myers Briggs Type. The coming out process is best described as the internal and external experiences which accompany a person’s recognition of, or shift in, their sexual orientation. Researchers who have studied the coming out process have identified stages that most people go through as they recognize, accept and embrace a non-heterosexual identity. While some have described the process as sequential, i.e., one stage must be “completed” before the next stage can begin, many now see coming out as an interactive experience which is connected to the environmental/cultural context. Integrating a GLBT identity into their overall self-concept. the path is different for each person and there are many small stages within each larger stage. If you are in this process, be patient with yourself. It is an ongoing and deepening experience — one which never completely ends. Micky O’Leary, Ph.D. is a member of the Georgia Psychological Association’s Division H, Sexual Orientation Issues. She has helped scores of men and women with their concerns about coming out. All life forms have boundaries and each part of our bodies has physical limits, from the skin to the membranes covering nerves and muscles. When our physical boundaries are invaded (when we are cut or scratched) we are vulnerable to infection. Therefore, our physical boundaries promote health and safety. My physical boundaries are defined by how close I let people get to me. My emotional boundaries are defined by how I allow others to interact with me – whether I tolerate abuse and hostility or whether I demand respect. To learn more about your boundaries, think about the amount of personal space that you prefer. You can probably recall the creepy feeling that arises when someone (especially someone you don’t know well) invades your comfort zone. Also, notice that this zone is very different with strangers than with acquaintances. We allow those that we love and trust to get much closer, but still there is a difference in what is acceptable for a friend vs. a lover. This illustrates an important point about boundaries – they are flowing and adaptable. It is our right to choose where to set the boundary of how close another can get to us physically or emotionally. This limit will change not only based on the relationship but also based on the situation. For example, in a relationship, there are times when partners feel like being sexual and times where they do not. Just because you are sometimes physically intimate with a partner does not mean that you owe this to your partner at all times. It is your right to set boundaries, to change your mind about those boundaries, and to have those decisions respected. Where do boundaries come from? Why do I need them? Boundaries define who we are and how we are connected and separate from others. Boundaries give us a sense of order and control over our lives. Healthy boundaries are empowering in that they set limits on what we will and will not tolerate from others. They allow us to bounce back from situations in which our limits are violated through awareness of our own needs and how to defend those needs. Empowerment comes not only from knowing how to protect ourselves but also from knowing that we will protect ourselves. Boundaries develop throughout the course of our lives, beginning with our earliest interactions with the world. Our caretakers can promote healthy boundaries through encouraging individuation, which is the process of developing a clear identity that is separate from the identity of the caretaker. Conversely, a caretaker can also encourage non-existent or unhealthy boundaries. Unhealthy boundaries come in a variety of forms – boundaries can be set both too close, resulting in enmeshed boundaries. Enmeshment occurs when our uniqueness and individuality are not respected. Enmeshed families demand that all members exist for one another and sacrifice themselves in the interest of sharing the same beliefs, values, and opinions. However, boundaries can also be set too far away, resulting in little connection with the outside world. In order to determine where are boundaries are, we have to get close enough to others to feel their presence. We learn about our limits by testing them. Childhood experiences, most significantly from caregivers, teach us where our boundaries lie and how to treat those boundaries. Enmeshed families promote the idea that boundaries do not exist and that to develop personal boundaries is to betray the family. Distant families teach their children that they are alone, isolated beings with nothing to lean on for support in this huge world. While we learn about our boundaries from our caretakers, we educate others about our boundaries through the way that we allow ourselves to be treated. Healthy emotional boundaries lead to greater emotional health. Boundaries allow us to take care of ourselves and to defend our own beliefs, values, and needs. Boundaries allow us to say “No” to others and to act in our own best interest. Boundaries allow us to give to others without sacrificing too much of ourselves. Boundaries are highly individualized – they can be firm or flexible, close, or distant. They also vary by country and culture. Good boundaries necessitate attention and maintenance. How do you know where your boundaries are? When our physical boundary is violated our emotional boundaries are also transgressed. Our physical and emotional boundaries work like a system of checks and balances. Without each, we are vulnerable to violations. Our responses and emotions provide feedback about our comfort in a situation. This feedback allows us to take an inventory and as a result, to gain greater self-understanding. The combination of feedback and self-awareness facilitates boundary development. If we receive feedback but do not listen or respond to it, we are violating our own boundaries. If we do not react to our emotions, we send the message to ourselves that our feelings and gut responses are not important or reliable. In doing this, we risk losing our best tool for judgment by disconnecting from our feelings and relying on others to define our limits. Not only do good boundaries limit harm, they also increase intimacy. The ideal relationship (be it romantic or friendly) promotes a strong sense of “us” while allowing each partner to be distinct enough to maintain her/his own identity. Healthy romantic relationships involve a commitment where two people choose to make a life together. This choice is not based on dependence or enmeshment – both partners could survive without the other. While enmeshment or infatuation may resemble intimacy, they are not. Enmeshment occurs when there is no boundary or individual identity in place. Enmeshment is loving the idea or image of another rather than that other’s true self. Intimacy occurs when two people know each other deeply, accepting both strengths and limitations. Intimacy means being able to accept that your partner is distinct and has her/his own ideas, values, beliefs, and goals. Intimacy comes from having faith that you are known, accepted, and valued for who you truly are. In sum, the goal is “to form boundaries that have some flexibility and some definite limits, boundaries that move appropriately in response to situations – out for strangers, in for intimates. Boundaries should be distinct enough to preserve our individuality yet open enough to admit new ideas and perspectives. They should be firm enough to keep our values and priorities clear, open enough to communicate our priorities to the right people, yet closed enough to withstand assault from the thoughtless and the mean” (Katherine, 1991, p. 81). The information in this article came from a book entitled Boundaries: Where You End and I Begin (Anne Katherine, 1991). Note: This is the second of a series of articles on the Enneagram. I recommend you read my first article on this subject in order to get the most out of this one. and 9’s would probably elect to start here as well because they wouldn’t think it really mattered if they got it anyway. And that’s the real benefit of discovering your drive—becoming aware of the “defaults” in your way of being and giving yourself the opportunity to CHOOSE your response in certain situations or to create a “custom” response that usually involves some motivation, momentum, and decision-making. So What Do I Do Once I Discover My Drive? Discovering one’s personality drive can be a fun and enlightening process. It can help us with our understanding of who we are and what has been the unconscious motivation of our thoughts, feelings, and actions. The discovery of your Enneagram drive is only the first step, though, as I mentioned in my first article on this subject. After delving into a deeper understanding of yourself as mentioned in the first article, one of the most powerful aspects of the Enneagram is to find out where you are in the Levels of Development. From there you can begin elevating using your Path of Integration. First, let’s talk about Levels of Development and then discuss how to move to higher levels of development once you discover your current level. Just as with physical health and development, your psychological/spiritual health and development can fluxuate throughout your life for many reasons. As you live and grow and change, you may experience periods of good health, average health, and poor health. Each personality drive has nine levels of development ranging from healthy to unhealthy. At any given time in our lives (and at any given time during a single day for that matter), we are at a certain place of psycho-spiritual health and level of development along this spectrum. The following is the spectrum of these levels of development and their descriptors. Notice that when people move between healthy and average levels, a “wake up call” experience is usually a part of it. And, in less healthy times—moving between average and unhealthy levels—it typically takes a “red flag” in that person’s life to alert them that serious change and help is needed. Oftentimes, it is at these “wake up call” and “red flag” transitions that people seek help—including seeking help from a psychotherapist. Each drive has distinct experiences, thoughts, feelings, and actions for each of these levels. For example, a level 5 for the 3 Achiever type will be different from a level 5 for a 7 Enthusiast type, even though they both involve Interpersonal Control themes. Reading through the levels of development for your drive will provide an important additional layer of insight into where you are now, where you’ve been at different times in your life, and—most importantly—where you’d like to be or your potential. Looking at the healthy levels can be very inspiring and directive to people, giving them hope for better living and a clear goal to have in mind in their efforts to do so. So, how to get to the higher/healthier levels? The road is different for each drive and it’s called the Path of Integration, Path of Elevation, or the Response to Challenge. Moving up in the levels of development is the goal and purpose of discovering your drive in the first place. Each drive has a path of Integration (toward healthy) and a path of disintegration (toward unhealthy). The keys to how to move toward health lie in your drive’s Path of Integration. If you look at the Enneagram geometric figure, you will notice that in addition to being connected to other drives by being on a circle, each drive “point” has two straight lines that connect it to two different drives (either as part of the triangle 3-6-9 or as part of the hexad (1-7-5-8-2-4). These two lines indicate the different paths. For example: if a 1 wants to get healthier, they need to focus on the healthy aspects of a 7 in order to be lifted out of their perfectionism and move toward health. When Perfectionist 1’s shift their attention to the fun/adventure/enthusiasm (7 drive qualities) of a given project/person/event instead of how it’s not quite right, their enjoyment of life increases and the way which they interact with and experience themselves and others moves up in the levels of development. Integrating by focusing on and moving toward another drive is not becoming that drive or changing your drive. Your drive does not change throughout your life. However, reaching toward the healthy aspects of the drive that is your own on your path of integration while still being rooted in the trueness of your drive creates a powerful positive synergy that can catapult you to living a healthier, happier life. You may have heard a lot of talk lately about personality type tests and how they’re used to help people with career choices, relationship issues, and personal growth. They’re also used by businesses to screen candidates for positions and contribute to team building and organizational health. One that has received increased attention in recent years, including at Karuna, is the Enneagram. Enneagram simply means “nine pointed figure”: ennea> = “nine” in Latin, and gram = geometric figure. This figure/symbol is ancient in origin and its exact birth date is debated among scholars (some dating it to 500BC). The Enneagram is the matrix upon which the nine basic personality drives in human nature flow. These nine core drives are also influenced by subtypes and variations. In addition, these drives are interrelated as shown by the three shapes that make up the Enneagram: the circle (oneness/divinity), triangle (trinity/tree of life), and hexad (law of seven/evolution). The 4th century A.D. introduced personality types and the Enneagram symbol and personality types came together under Gurdjeff’s 1875 work, thus, combining ancient wisdom with modern insights as well as bringing eastern and western philosophies together. Know Your Type, Know Yourself–Not Exactly! Every person is a unique, complex being with reactions and responses that are impacted by many forces both internal and external. It may seem strange, then, that I would find such interest in a personality typing tool that, to some, can be used to place people in confined boxes or “types.” Instead of viewing the Enneagram as a static grid for typing and labeling people, though, I view it as a living matrix of energy that flows through human consciousness. Each person is born with a strong connection and certain rapport with one specific part of this living matrix—their personality drive. Sorting Tests are a popular and effective way to narrow down the drives to a few that may be more likely than the others. Don’t take these tests as the determining truth, though. Treat them as, say, taste tests—for only YOU can know your drive! You—yes you—are your own authority (being honest with yourself is pivotal to the reliability and validity of that authorship, however!). After taking a test, study more about that drive, checking in with yourself and your authentic experiences as you do so. There are many online resources and printed materials about the Enneagram (referenced at the bottom of this article). It’s only the beginning! Sadly, many stop at this point, though, satisfied at simply finding a type or label to simply explain or justify much of how they are in the world. This short cut, though, cuts them off. Cuts them off from the movement and growth and healing that can happen when one deeply works to not only discover but to harness and direct the powerful energy of their drive toward “integration” and more healthy living and relating. This is a misuse of this valuable, living, matrix that invites us to look deeply into the mystery of our true identity. Since our perceptions are often what’s reality to us and since our personality drive plays a key role in determining those perceptions, discovering one’s drive is an invaluable tool for changing one’s reality —that is, changing one’s life. And that’s why people come to therapy in the first place: to change something about their life through healing and growth. Therapy’s purpose of providing a space and relationship for healing and growth, therefore, provides a powerful setting to work with the Ennegram. Because I don’t believe that any healing or growth path—including psychotherapy—is “one size fits all,” awareness of a client’s personality drive is helpful to both client and therapist. Some clients choose to use the Enneagram as integral to their work and others don’t. I simply introduce it in the initial sessions and ask clients to take a short sorting test and work with me briefly to discover which drive seems to “fit” with their experience of themselves. I use this in work with individuals and couples and also lead a weekly group called Beside Our Selves. There are many resources on the Enneagram, but the ones I work with most are from Riso & Hudson’s Enneagram Institute (www.enneagraminstitute.com) and The Wisdom of the Enneagram, Daniels & Price’s The Essential Enneagram, and Concept Synergy’s Harnessing Your Personality Drive Through Exploring the Enneagram.